60 individual islands can be intimidating, heres the 'what' and 'where' of the best BVI activities. You won't believe the BVI from underwater—here are our favorite spots and how to access them. 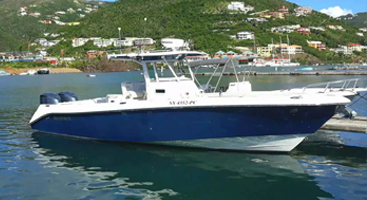 The BVI is mere minutes from some of the best Marlin fishing in the Atlantic. Fishing charter, anyone? The BVI is a beach lovers paradise—here are our picks for best eats, cocktails, and beachfront vibes. The BVI might be remote but it's still paradise—treat yourself at these premium resorts & spas. This Eco-Tour of one very famous island supports the natural and diverse wildlife of the BVI. What to Do in the BVI? There is so much to do in the British Virgin Islands while on charters, all in the name of fun! 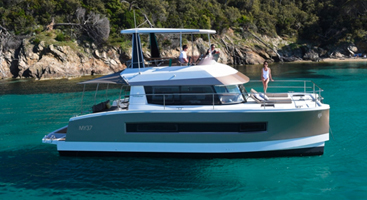 Think of the choices you have each morning as you wake up and enjoy your morning coffee from the flybridge of your luxurious motor yacht thinking about the activities for the day. Will you spend the day on the water, snorkeling or diving? Perhaps it’s a good day to find a quiet cove and explore some of the deserted island beaches by Stand Up Paddleboard. Will you be docked at a marina enjoying a day at the spa or lounging poolside sipping on a popular Caribbean cocktail? Hmmm, but the kids sure might enjoy that Eco-Tour of Necker Island. And there are the decisions as to where to dine that day…popular BVI restaurant or beach bar, or maybe both? It’s all good. So many choices! One thing is for certain; it helps to plan ahead of time! Check out our activity guide when doing your charter planning. There are some valuable resources available here to help you provision and plan for all of the things you might want to experience during your charter. Our staff will always be available to assist you with your itinerary. The BVI is home to some of the most wonderful and exciting underwater destinations in the world from the diversity of ‘The Indians’ to the highly accessible wreck dives including HMS Rhone. You could plan charter vacations in the British Virgin Island for the next 30 years and never tire of diving here. You’ll find 60 sites in the BVI to scuba, snuba and snorkle, many of which are protected and supported by our National Parks. 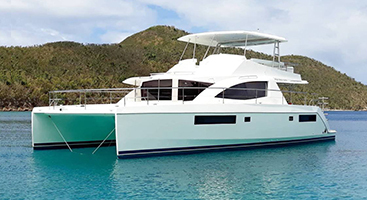 For dive instruction, courses or even just equipment hire, we highly recommend Blue Water Divers – not only are they the best dive company in the BVI, they have a dive center right next to us in Nanny Cay, making loading your dive equipment simple! Store your scuba equipment aboard, or plan on having Blue Water pick you up at your yacht, provide you with the necessary dive equipment and take you to your planned dive locations. We would be happy to assist you in making any necessary arrangements. Oh, and don’t forget to pack your dive certification! You can find more dive information on the Blue Water Divers website. There are several excellent dive companies in the BVI. If you are interested in a Rendezvous diving experience in the western part of the British Virgin Islands, Blue Water Divers comes highly recommended. They would be happy to meet you on the western side of Tortola, or Norman and Cooper Island for dives in and around those areas. They are located in Nanny Cay right next to our Virgin Charter Yachts office making it convenient to arrange for all of your diving needs. Angelfish Reef | Norman Island | 30 to 80 ft. Underwater canyons full of marine life that will give you plenty of crevices to explore. Be sure to watch your air, there’s far too much to see for one dive. Rainbow Canyons | Pelican Island | 20 to 60 ft. Wreck Alley | Cooper Island | 50 to 85 ft.
Three intentionally placed underwater dive park made of tugboats and cargo ships—the ‘Marie L’, ‘Beata’, and ‘Pat’—make up this diving adventure. Highly recommend pairing Wreck Alley with the RMS Rhone as your second dive. The RMS Rhone | Salt Island | 30 to 90 ft. The most infamous of BVI dives is the 1867 wreck of the RMS Rhone, located between Cooper and Salt Islands. To learn more about this wreck visit our Islands Guide. For more information about these dives, check out their site. They have a variety of dive packages available with all of the equipment that you need. Sometimes it’s just easier to let them handle the equipment rather than try and carry it on your charter boat for the entire vacation. Another great resource for dive site detail is this BVI Dive Map. There you’ll find more detailed information about all of the dive sites in the BVI. Dive BVI is an excellent choice to assist you with your diving needs in the eastern half of the British Virgin Islands. 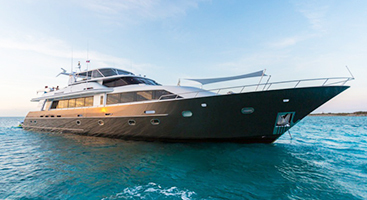 They have dive shops located on both Scrub Island and Virgin Gorda in the Yacht Harbour. They used to have a shop at Leverick Bay as well which was destroyed during Irma, but they would still be happy to pick you up there…or they can meet you at your boat, whichever you prefer. The Chimney | Great Dog | 30 to 50 ft.
Cistern Point | Cooper Island | 10 to 40 ft.
For more information about these dives, check out this BVI Dive Map. There you’ll find more detailed information about all of these dive locations. For the snorkelers aboard, the BVI will not disappoint! People come from all over the world to snorkel in the British Virgin Islands and it’s easy to see why; the beautiful coral reefs and rocky underwater terrain attract an abundance of colorful sea life that surrounds you as you snorkel! If your charter guests are not strong swimmers, the chop and current can make a day of snorkeling, very treacherous. Always check the weather before deciding on an itinerary for the day. Island Surf and Sail on Tortola has snorkel vests and belts available for rent that go a long way to assist weak swimmers. No need to pack your snorkel gear either. Blue Water Divers, located next to our offices in Nanny Cay, has rental snorkel equipment for all of your guests. Just be sure to visit them before you leave the dock. The Caves | Norman Island | 10 to 50 ft. The Indians | Pelican Island | 10 to 50 ft. Massive rock formations surrounded underwater on all sides by an array of coral and sea life including turtles that are know to hang out there. Pelican Island is located just North of Norman Island. The Baths | Virgin Gorda | 0-40 ft. Calm waters make the shores of the Baths one of the most beautiful snorkel spots with its white sands and massive underwater boulders. Check out our sample itinerary and individual island guide for more information on working these underwater activities into your trip. Most of the more shallow scuba dive sites listed in our Rendezvous Dive section above, are also excellent snorkel sites, weather permitting. Check out those marked with an asterisk in particular. If anyone is your party is new to snorkeling we have some tips to share that might make the experience even more enjoyable. After all, the idea is to see as much as you can, right? Sometime it takes a little more than jumping in the water and making sure your mask doesn’t leak. One key to good snorkeling is to recognize that marine life feels threatened when you approach. As a result, they will often stay still or perhaps even change color very quickly in order to blend into their surroundings. People mistakenly assume they are looking for fish and animals that are moving. That is not often the case. Especially the closer you come. Make sure to notice that plant and those rocks that are still. There’s a very good chance that some of them are actually the fish you were hoping to see. Go slow. Much of the success of snorkeling is noticing the little things. Marine life loves to hide. There’s a reason why some of the best snorkel and dive sites are in locations where there are large numbers of rock formations and coral. They are great hiding places during the day for sea life. Take the time to look in the hiding places like under boulders and in small crevices. Seagrass is another favorite hiding place. Take your time and you’d be surprised how much more you will find. One more thing. Notice what’s going on above the surface. If you see pelicans diving for fish, chances are you have picked a good time of day and a great location to find some action going on below the surface. Oh, and don’t forget your underwater camera. Would you like the chance to hook a big one while simply cruising from one island to another? The BVI’s are home to world-class fishing grounds, so why not throw out a line! Give Island Surf and Sail a call and they can provide you with all the fishing lines and lures you need, as well as helping you obtain a fishing license for your time in the islands. Please note that a deep see fishing is not permitted on any of our charter yachts, only recreational fishing which must be accompanied by a license. From famous Caribbean and Jamaican cuisine and delicious fresh-caught seafood, to the most delicious rum-based cocktails imaginable, the British Virgin Islands is equally as famous for its sustenance as it is for its turquoise waters. Here are our staff’s picks for best restaurants and beach bars, enjoy! Coco Maya is the top local favorite when we are looking for an all-around great night out. Offering an elevated dining experience, custom cocktails and the best sunsets in the BVI—you just can’t beat the food and good vibes of this Virgin Gorda hot spot. Walking into Coco Maya, guests are greeted by a stunning, contemporary Caribbean decor that perfectly complements the natural beauty of the BVI. With an indoor-outdoor layout, Coco Maya offers guests a one-of-a-kind, ‘beach chic’ dining experience. Coco Maya’s Asian/Latin/Caribbean fusion restaurant serves up an amazing ‘small plates’ menu that allows guests a chance to try many of their delicious signature dishes; duck tacos, sushi rolls, and twice cooked pork belly. After dinner, retire to the comfortable lounge seating on the beach with one of the specialty house cocktails; a perfect nightcap after a day of cruising the BVI. When industry locals have a day off, you will often find them jumping on a boat and heading to Cooper Island for the day. The Cooper Island Beach Club is a ‘must stop’ location for both guests and locals as it offers everything needed for a great meal! Cooper Island is an eco-resort that focuses on sustainability; using solar to generate power and sourcing much of their produce from their on-island gardens. Make sure to try any of their fresh salads and vegetable starters, including their locally caught Mahi Mahi or Tuna specials. In addition to a great ‘farm-to-table’ restaurant, Cooper Island Beach Club is also known for their amazing drink options. The island is home to its own microbrewery, where six different types of beer are brewed. Cooper Island also has a dedicated ‘rum bar,’ offering over 100 different kinds of rum from all over the world, with custom cocktails created to showcase the various rum varieties. While the tourists flock to Soggy Dollar Bar (which is still the best spot to grab a ‘painkiller’), all the locals head next door to Hendo’s Hideout. Whether you call the BVI home or are visiting for the first time, everyone loves to spend a day relaxing on the perfect white sand beaches and turquoise waters of White Bay, Jost Van Dyke. After a beach stroll and a swim, Hendo’s Hideout is the perfect place to enjoy a fresh, contemporary take on some Caribbean classics. Nothing beats sipping their ‘Delirious Donkey’ cocktail while waiting on some of the best fish tacos in the BVI, or their signature pulled pork sandwich and sweet potato fries. Hendo’s Hideout is also one of only a few BVI restaurants with TV’s at the bar, so it is the ideal place to stop if you need to catch the ‘must see’ game. If you’re looking for a great lunchtime dining experience on Anegada, grab a scooter or safari bus and head to Anegada Beach Club on the eastern edge of the island. Anegada Beach Club is uniquely designed with multiple outdoor palapa-styled buildings that create the perfect, contemporary island ambiance to enjoy that fresh lobster. The Beach Club offers delicious, modern takes on classic Caribbean favorites including their “must try” coconut cracked conch and jerk BBQ ribs. After lunch, you can enjoy a swim from miles of powdery white sand beaches, or the adventurous in your group can try a kite-surfing lesson from Tommy Gaunt Kiteboarding. If you are looking for the quintessential Caribbean dining experience then Hog Heaven needs to be at the top of your list! Hog Heaven is perched on the top of Virgin Gorda, with breathtaking views of North Sound Virgin Gorda, Necker Island, Mosquito Island, and more. Hog Heaven offers a casual dining atmosphere with wooden picnic tables outside so you can enjoy the stunning views while dining. The only thing that can top the view is their amazing BBQ! They serve up the best BBQ ribs and jerk chicken in the islands, with delicious homemade comfort food sides of potato salad and coleslaw. Make sure you order a ‘bushwhacker’ while you are there; it is basically dessert in a glass! Locals love Hog Heaven as much as visitors since it is not as ‘touristy’ as some restaurants and they offer some of the best prices in the BVI! The legendary Soggy Dollar Bar, home of the original “painkiller” is high on our list of must-experience destinations for charterers visiting Jost Van Dyke. Whether or not you dingy in or swim into the beach at White Bay makes no difference. Just don’t miss the opportunity to sip one of those delicious rum cocktails while basking in the sun on a hammock stung beneath the palm trees on Jost Van Dyke. It just doesn’t get any better than that! Foxy’s remains the most popular bar in the Caribbean, and rightly so. If you’ve never met him, Foxy is definitely a hoot. He will happily play his guitar and sing for you or recite his infamous poetry if you are lucky enough to find him holding court. To learn more about this incredible man, check out this article in yachting magazine entitled, ‘That Charming Man’. One of our favorite BVI destinations after a long day of snorkeling or scuba diving in the BVI is the eco-friendly Cooper Island Beach Club. Historically, Cooper Island was named for the family who came to the island to collect white cedar for rum barrels. So in keeping with that tradition, Cooper Island Beach Club is known for their amazing Rum Bar — with rums from all over the world! Throw in a fabulous hotel, restaurant, coffee bar and gift shop…how can you not include this destination in your next yacht charter itinerary? Coco Maya, one of the British Virgin Islands’ finest beach bars and restaurants can be found in Spanish Town on the island of Virgin Gorda. If you haven’t already stopped here (or even if you have) Coco Maya Bar & Restaurant is a don’t miss in your charter plans — even if only for a cocktail on the beach with spectacular views of the Sir Francis Drake Channel. Coco Maya boasts an open concept restaurant offering an exotic blend of Asian and Latin cuisines and a casual junky vibe. No wonder this beach bar is at the top of everyone’s list! Be sure to check out Coco’s beach karaoke, wine tastings, and top-notch DJ dance parties. A great adult playground (complete with swing chairs and fire pit) but also very family-friendly. The original Willy T was a boat built in 1935, fabricated as a pirate ship off of Norman Island where guests could come aboard for drinks, food, and fun. Unfortunately, following hurricane Irma, the original Willy T was a total loss for its owners. A new pirate ship was commissioned following Irma, and was completed early summer 2018. We were so excited to be able to report that the new Willy T was back at its Norman Island sanctuary, but unfortunately, not everything goes as planned! As of June, 2018, the ‘New’ Willy T returned to the BVI but sadly the government wouldn’t allow them to return to the Bight @ Norman Island. Instead, The Willy T has made its new home @ Peter Island! As bittersweet as the ending of an era may be, we look forward to making many new memories on the Willy T in its new home at Great Harbour, Peter Island. For those visitors seeking luxury and accommodations, the British Virgin Islands boasts a collection of high-end, amenity- laden resorts and spas for the most discerning of clientele. Keep in mind that not all of the resorts that should be on this list are represented as many are still rebuilding from the hurricane in 2017. We look forward to adding more as time passes and the BVI returns to business as usual. Scrub Island offers… (let us take a deep breath for this one)… three restaurants, gourmet market & cafe, full service spa, pools & beaches, dive shop, sailing school, kayaks & paddle boards, shopping, full service marina with water/ice/trash/electric, fitness facilities, marina restrooms & showers. Needless to say, a day spent at Scrub Island Resort wouldn’t make you worse for the wear. Just a heads up that Scrub Island Marina is more expensive than you’ll find at other marinas. The price to dock your boat for the night will run you around the cost of a high-end hotel room. We’ve mentioned this sustainable eco-resort in almost all categories, and for good reason—Cooper Island Beach Club has (almost) everything you could need including accommodations, a restaurant, rum bar, brewery, coffee & ice cream shop. If you’d like to freshen up before dinner, the Sea Grape clothing boutique is just the place. The Beach Club sources many of the menu’s ingredients from produce they’ve grown right on the island. Now that’s sustainable! Charterers can take advantage of 30 mooring balls and two dingy docks, ice, trash service, dive shop, and free Wi-Fi in the resort. The Beach Club does not have a full-service marina so docking, electric and water are not available at this location. Necker Island—home to Sir Richard Branson—is also home to many diverse marine and wildlife species, like many of the islands here. While Branson works to rebuild after the devastation of Hurricane Irma, his focus also lies in helping the wildlife of the BVI recover by creating a sanctuary in which they can once again thrive. Tours of his sanctuary eco-village which he entrusts to his good friend “Gumption” through his See It Clear Tours, are your only ticket onto the island—unless of course, you can afford the world-famous villas. For more information on the Necker Island Eco-Tour, check out our post on Medium. Please note: this tour usually hails from Leverick Bay so plan on taking the tour around the same time you’re in port.